The demolition begins after the layout work. Note the blue tape on the walls noting where some cuts will occur. 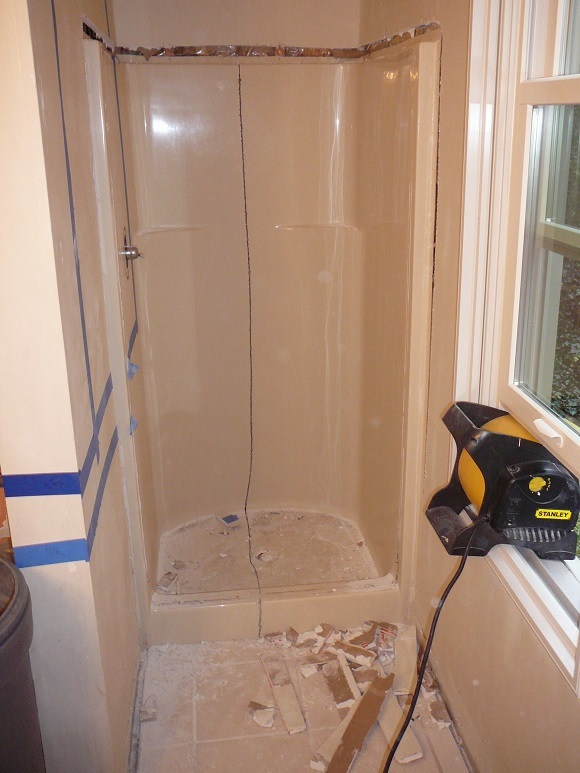 The one-piece fiberglass shower is cut up and removed piece by piece. Here you can see how high up the mirrors were. This room had a 10' ceiling. 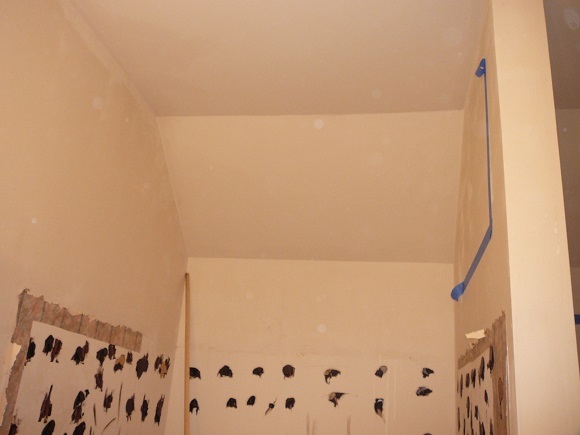 The blue tape on the right wall was to show where the wall would be cut up to the ceiling. 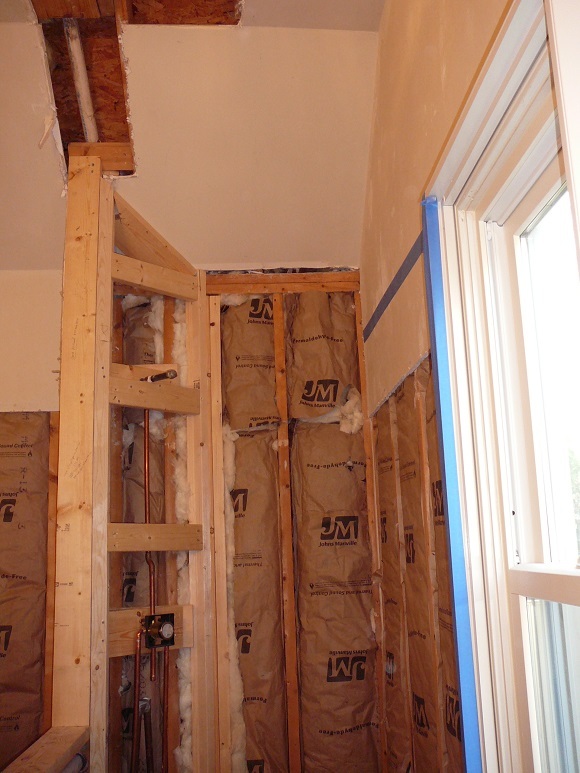 Below you can see how the vent pipe was rerouted and new shower faucet installed on the reframed walls. 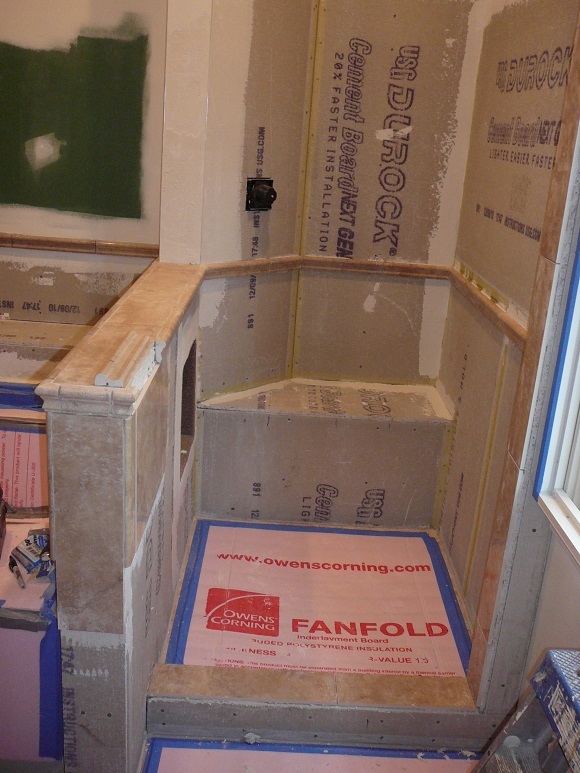 The floor drain has also been relocated and new insulation installed. The bench is slightly tilted so water will drain off. This picture shows the vent pipe in the ceiling which we had to run. It was much more difficult than it seems, as framing had to be cut out of the way. 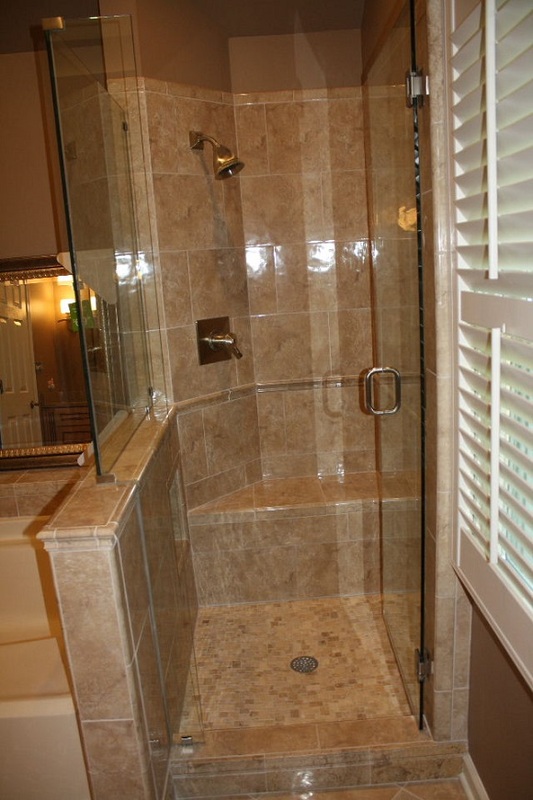 This cutting and reframing of the shower wall allowed the owner to open up the shower and make it less "claustrophobic" and much more inviting and friendly to use. 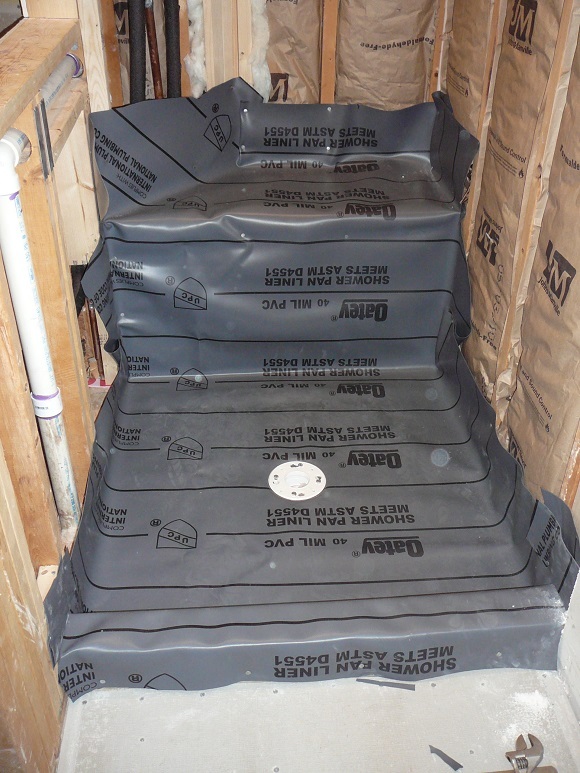 Below you see the vinyl liner that we used for the shower "pan." 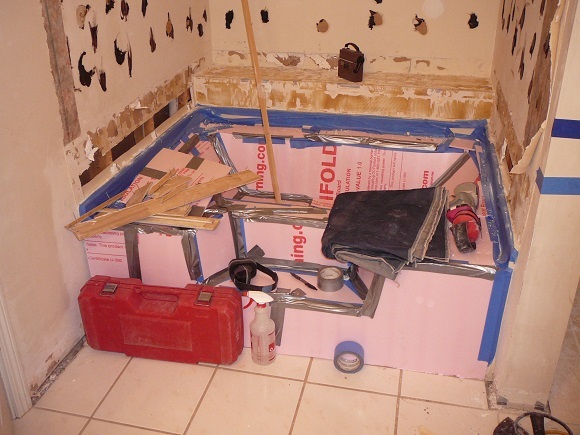 The pan is the barrier under the concrete and tile that catches any water that may find its way through the grout and directs it to the drain. Today we usually use a Schulter-Kerdi system or Wedi system with preformed bases. Belowyou can see the concrete board in place and the new green board. The concrete floor was poured next and sloped to the drain. Below the floor tile had been installed thoughout the bathroom and in the shower. Then it was covered to protect it with foam or cardboard. Note the ceramic chair rail. 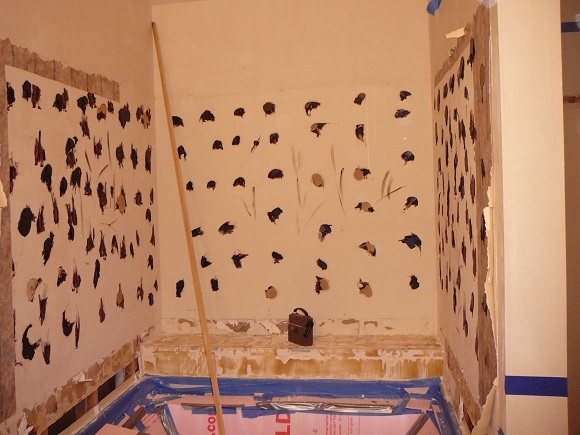 This tile work is a tedious, slow process. But can you see how that hard work and detail pays off in the finished product? 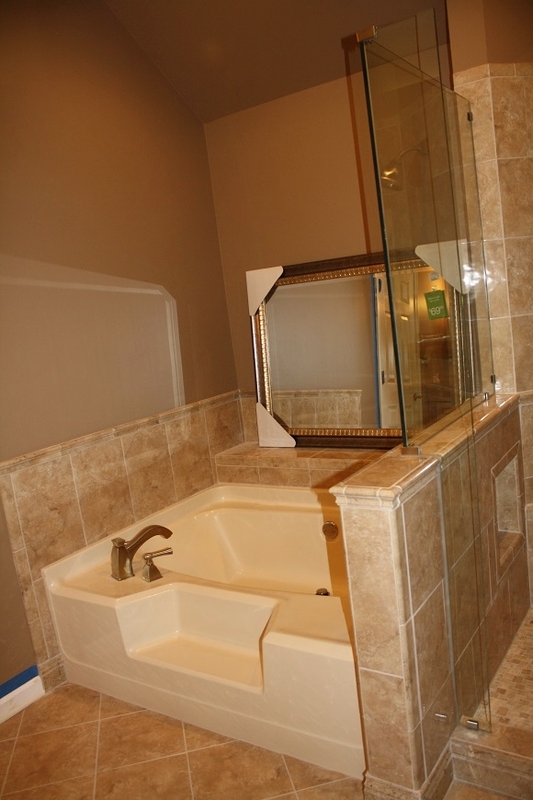 Below is the finished garden tub. The mirror had not yet been hung. Below is the view from the master bedroom. 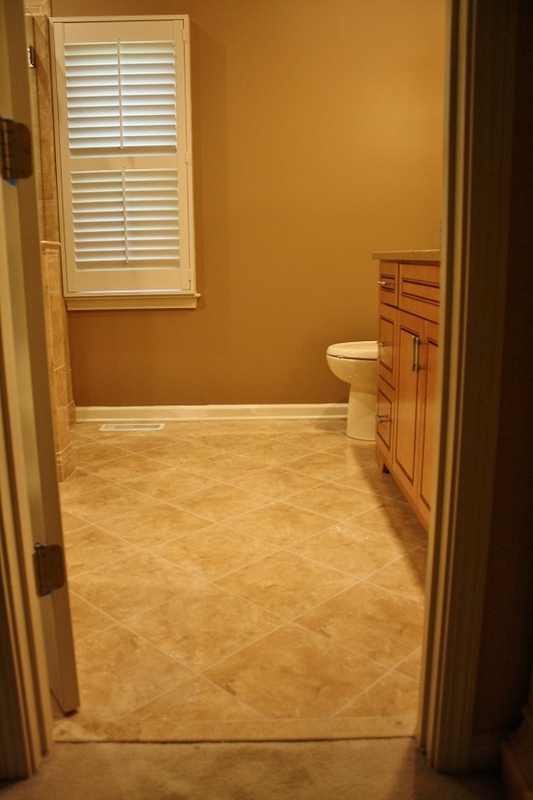 Note the diagonally laid floor tile. 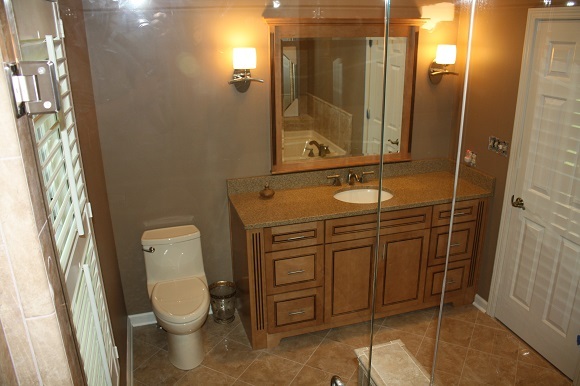 The below picture shows the vanity and lighting and toilet from inside the shower. 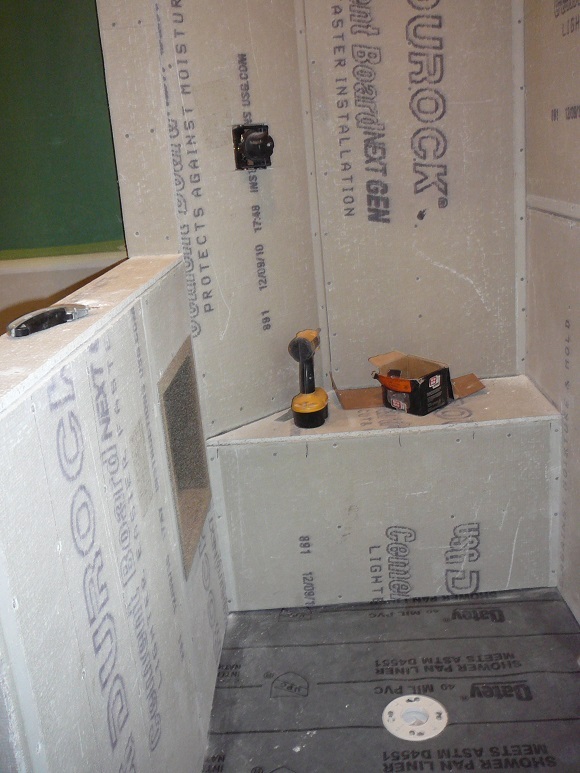 There were also recessed spots over the shower and tub that we added. 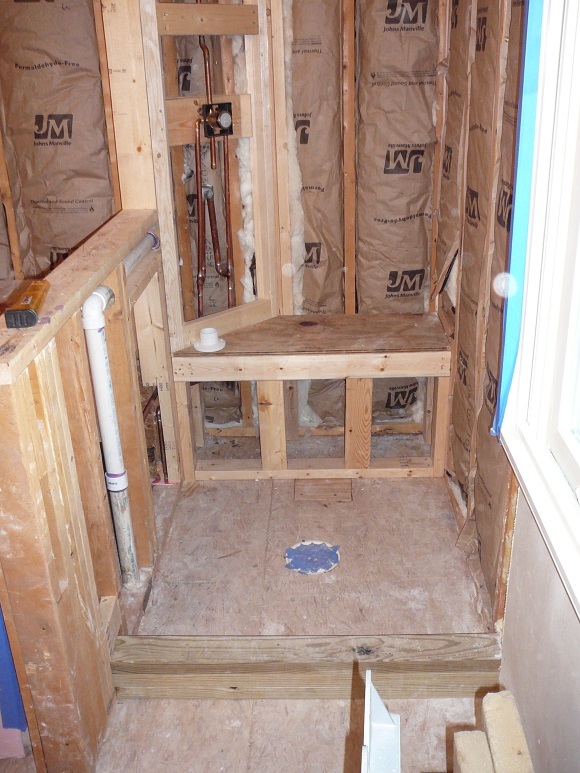 Back to other Bathroom Projects. The right sidebar slips beneath the content area when viewed on a smart phone. Click on icons below for D and S info on these sites.